Cameron Mack: He has been jailed for 100 days. 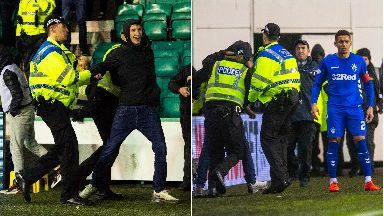 The Hibs fan who climbed out of the stand and confronted Rangers player James Tavernier has been jailed. 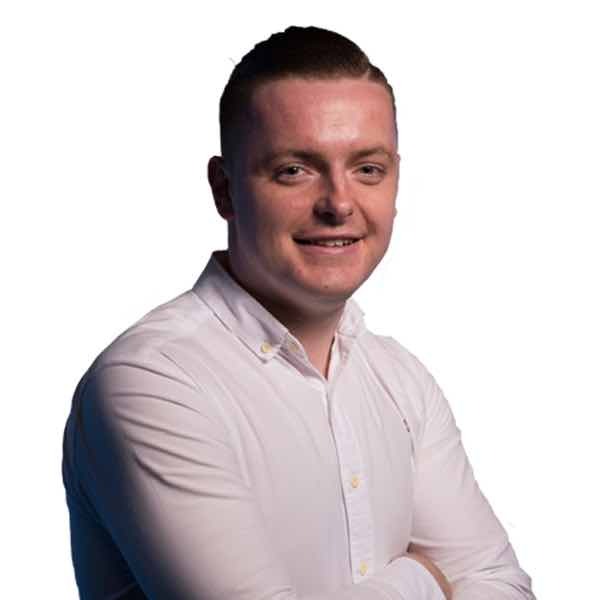 Cameron Mack, from Port Seton in East Lothian, approached the Rangers captain as he went to collect the ball for a throw-in before kicking it away and acting in an aggressive manner. The 22-year-old was jailed for 100 days and banned from attending football matches for ten years. Defence solicitor, Eddie Wilson, said his client had gone to the match with his dad and a family friend and met up with others. The father-of-two was drunk and has since had death threats. His solicitor said: "He told me that when he hit the fresh air he became intoxicated and remembers little or nothing about this incident." Mr Wilson added: "The police advised that he, his wife and children, should leave the family home." He has since apologised to the player and both football clubs, accepting his actions could have led to widespread disturbances in the stadium. Sheriff Cottam told Mack the incident was not isolated but was part of widening disorder in Scottish football.